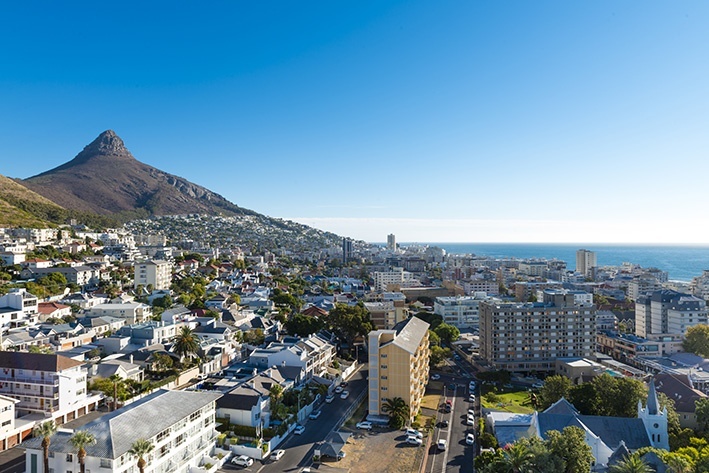 “Breath-taking scenery, sparkling sea, pristine beaches, amazing biodiversity and a wide spectrum of diverse cultural experiences make cosmopolitan Cape Town famous worldwide as the city most worth visiting,” says Leon Breytenbach, National Manager of the Rawson Property Group’s commercial division. It was voted the best luxury destination of the year in 2015 and 2016, one of the top 10 surf cities in the world, the top city in Africa for business tourism, and is included in Lonely Planet’s Global Beer Tour. Cape Town International Airport has been voted Africa’s leading airport for the second consecutive year. While the city is the second largest in South Africa, it is growing rapidly. The Cape Town City Improvement District Programme is aimed at realising the potential to serve the needs of all its citizens by leveraging private sector investment and expertise. “Situated at the tip of the continent, two national roads emanate from Cape Town CBD. The N1 runs in a north easterly direction connecting the city with areas north, through the Free State, Gauteng and Limpopo,” remarks Breytenbach. The N2 runs in an easterly direction via Somerset West, to the Eastern Cape and KwaZulu-Natal. The harbour and container terminal are less than six kilometres from the city centre, while Cape Town International Airport lies 20 kilometres away. Rail and bus transport systems have been upgraded and expanded. Metrorail’s commuter trains service almost 100 stations in the surrounding area, while the MyCiTi IRT buses bring passengers from as far afield as Melkbosstrand, Llandudno, Hout Bay, Mitchells Plain and Khayelitsha. Metred taxis are available at taxi ranks or by phone, and mini-bus taxis are readily available. South Africa has entered a period of technical recession, yet Cape Town’s office vacancy rates have remained stable at around 10%, and are improving slightly. Most new development is owner-driven, although some may have been postponed until the economy picks up again. There is little to no available land in the CBD, but the extensive urban renewal programme has occasioned existing stock to be regenerated and upgraded. “Green Certified properties have a far lower vacancy rate and greater Cape Town has the highest percentage (41% compared with 10% to 20% elsewhere in the country) of Green Certified buildings, though not all are located in the CBD,” Breytenbach explains. International shipping companies are located within the CBD, as Cape Town’s harbour is of the best and busiest on the continent. IT is another main enterprise, along with insurance, publishing, clothing and fashion designers, architects, retail, banks and finance, import–export companies, attorneys, petrochemical companies, advertising agencies, and many others. Woolworths, Pick n Pay, Shoprite, Standard Bank, New Clicks Holdings, Foschini Group, MWeb, MediClinic, Naspers, Sanlam, Ceres Fruit Juices, Coronation Fund Managers, Capitec Bank, Johnson & Johnson, GlaxoSmithKline, Bokomo Foods and Nampak are just a few of the household names located here. Cape Town CBD boasts a total of 1 049 123 square metres of rentable office space, of which 52 000 is Prime grade, 361 883 is A-grade, 527 386 is B-grade and 107 854 is C-grade. Of those amounts, only 4 664 square metres of Prime, 27 728 of A-grade, 57 788 of B-grade and 16 727 of C-grade are currently available for rental. “Vacancies recorded in the SAPOA Report for the second quarter of 2018 stand at 10.2%; only one or two points of variance compared with the figures of the past year,” remarks Breytenbach. New developments amounting to 38 340 square metres of space are in the pipeline, but 3 000 square metres have been pre-let. Average monthly rentals in the CBD stand at R185 per square metre for Prime grade space, R150 for A-grade, R115 for B-grade and R90 for C-grade space. 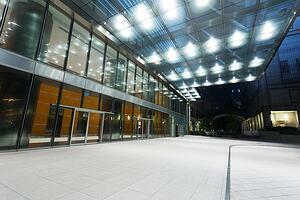 The CBD boasts numerous apartment buildings which encourage a live-play-work vibe. Shopping centres and streets are lined with all manner of retail outlets, quirky coffee shops, inviting bistros, fast food outlets, world class restaurants and so much more, attracting a massive passing trade. Tourists, drawn to the city centre to visit museums, art galleries, historical buildings, parks and entertainment locales, also enjoy bus, cycle or walking tours. The proximity of the CBD to wonderful beaches, breath-taking mountain scenery, wine estates, national parks, excellent schools, top grade universities, medical facilities and tree-lined residential suburbs adds to the city’s appeal. “Cape Town’s CBD will continue to attract visitors, residents and business enterprises, remaining one of the most popular and successful city centres in the country,” says Breytenbach. Rawson Commercial has offices in Cape Town as well as countrywide, and hopes to assist you in finding the right property for your purpose. Please contact (021) 658 7100 and we will refer you to your nearest office.